The high sensitivity “USB-CAM480” camera is dedicated for the Robotic Vision application such as “Open CV”, using a high performance CMOS Sensor(low noise in normal and low light conditions), 640 x 480 pixels resolution, automatic white balance and gain control. 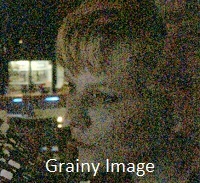 The low noise feature is specially required for Objects/Face recognition, in low light the noise(grain) will strongly interfere with the actual image causing errors or misinterpretations. The USB Camera is great for Robotic Vision applications/projects where it require a High Quality image, Automatic control and a Higher integration/compatibility with the current Operating Systems(no need to install drivers – UVC standard). The USB-CAM480 measures just 1.1? x 1?, it incorporates a Color CMOS sensor 1/4″ diagonal(most of the cameras/webcams have a much smaller sensor, resulting in a noisy/grainy picture), Full automatic control, and it can be used also as a Webcam, Camera(pictures) or Video capture. The USB cameras’s drivers make it look like a standard UVC(USB video class) to the operating system, allowing you to connect to all of your existing software, such as video interface programs(Open CV), through a USB port. USB video class support for Linux is provided by the Linux UVC driver. Since Linux 2.6.26 the driver is included in kernel source distribution. 10.4.9 to work with iChat. first OS allowing to have an entire highspeed USB driver in userland. OpenSolaris. The driver ships with Solaris Express build 56 and later.